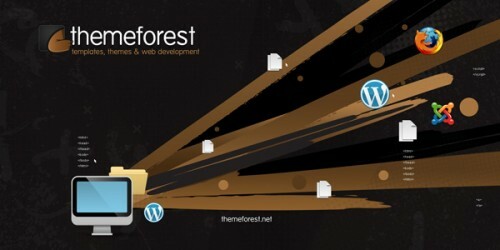 Templatic is one of the business solutions for WordPress, how so? 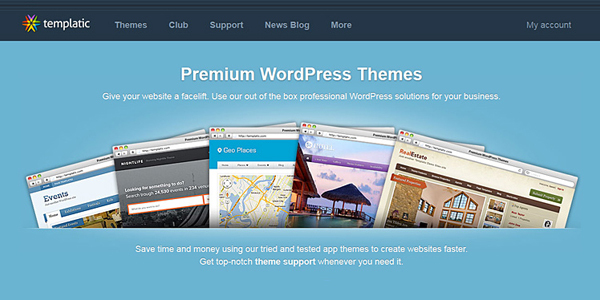 They create WordPress theme that are amazing and easy to use. From humble origins in India, this company started with a group of developers and now is on its way to become something great. Templatic WordPress Market is a company owned by developers and designers who started working together about 7 years back and have come a long way from in these years. They wanted to make Templatic WordPress Market into a simple short website that provided themes to WordPress users and not just any themes but optimized business solutions in form of themes. The company is run by over 15 employees that work from three different countries and simultaneously make sure that the users get best of the best when it comes to their business. The company makes sure that rather than just focussing on design you get functionality as well. So Templatic becomes aayment Options different cry from what you normally hear. As far as the packages are concerned Templatic WordPress Market provides membership packages with the name Basic Installation which starts at 49$ with the theme install, required plugin and sample data. Second in line is Pro-Installation which is for 79$ and provides WordPress along with theme install, plugin installs, sample data, removal of footer credits and a sample navigation menu. Third in line is Premier Installation which sells for 179$ and includes all the benefits from Pro-Installation along with a 3 hour custom work or if required consultation with a WordPress expert. Nothing better than having an expert on your hands huh? 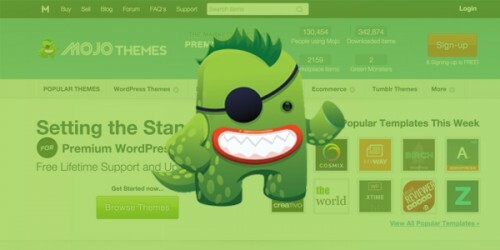 Currently Templatic marketplace offers 81 premium themes and 41 plugins and all items have clean code and WordPress functionality. All Templatic themes and plugins have friendly and simple interface and users have been facing no problems at all when it comes to using the themes or editing them according to their will. Templatic WordPress Market uses a simple payment method, once you select a theme you go to the sales page and 2Checkout process for all credit cards and Paypal users as well. Existing members only need to login again to subscribe and buy new themes. Sales page can be opened at any time and you can purchase any theme easily. The quality and standard as per the views of the users has been real good. Custom work at Templatic WordPress Market helps you in finding ways to satisfy exactly what you are looking for in a website or theme. Sometimes an entire business runs only on the look so at Templatic when you provide with some basic details and your requirements you will be able to get a custom job done from them. In our Templatic review we have found that they also provides its users with a community forum and support centre, though support FAQ’s are already detailed and helps a lot. You can also join official Templatic Facebook Page. The forum is active and has hundreds of users which post and update regularly. Templatic supports not just includes this but also bugs fixing, general problem solving, with guidance and explanations of some of the features. Templatic WordPress Market has a affiliate program which will help you in saving 30% on every sale which will be directly coming from your website or banner so here is another reason to have Templatic WordPress Market as your number one choice. The process is really simple and you just need to fill out Affiliate request form, enter your basic informations and submit it. The minimum payout is $50 and you must have a PayPal account to receive affiliate commission.